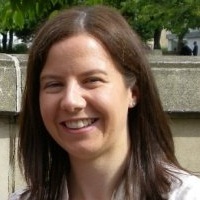 Dr Elaine Dunlop is a Post-Doctoral Research Fellow in Dr Andrew Tee’s lab, at the Cardiff University School of Medicine. Elaine is currently researching the role of Folliculin in mTOR signalling in Birt-Hogg-Dube Syndrome. I was introduced to the world of BHD research through my supervisor, Dr. Andy Tee as it has similarities to TSC and links to mTOR signalling which I have previously worked on. I really enjoy dissecting what is going on in human diseases, with the hope that a better understanding of the biology will lead to better treatment options for patients. I am currently trying to understand what folliculin normally does in the cell at the molecular level, so that we can understand what goes wrong when the gene is mutated. Some great momentum has been built up in BHD research, with more and more BHD-related papers published each year since 2002, the year the gene was first identified. This needs to be maintained, through funding and attracting talented scientists into the field. The FLCN-interacting protein, FNIP1, has been shown to be involved in B cell development in mice (Baba et al., 2012). I think more research into FNIP1 and FNIP2 will give us a broader understanding of FLCN function. Work by Ravi Nookala and his group which identified that FLCN is likely to function as a guanine exchange factor (GEF) (Nookala et al., 2012) has given us a real clue into FLCN’s role in the cell. 6. What are your short/long term goals? In the short term, I want to push forward our laboratory work looking into FLCN function and signalling. Longer term, it would be great to have my own research group specialising in signalling in human disease. I think we’ll have a much greater understanding of what the function of FLCN is and hopefully have identified some druggable targets, so that clinical trials can begin. Better awareness of BHD syndrome among medical staff will also help patients get a faster diagnosis and ideally more treatment options will be available to them. I enjoy books by Jasper Fforde. They are set in quite different realities and are a good work out for the brain! I enjoy a range of music, but being Northern Irish, I’ll pick Snow Patrol. I had no set career in mind, but always enjoyed science. Hopefully still working in research and continuing to be involved in public engagement which is always rewarding. My two PhD supervisors gave me a great grounding in what it takes to be a scientist. Plus female scientists such as Marie Curie and Rosalind Franklin are heroes for paving the way for the female scientists of today. BHD Personal Story: Gigi is from the USA and was diagnosed with BHD in 2011. 1. When and how were you first diagnosed? At the time of my spontaneous pneumothorax and after the surgery in March 2006, I was told by my (2nd) lung doctor at the time, that I had emphysema. (My 1st lung doctor was useless and not interested in my case). I never quite believed that diagnosis but I could not convince her to do more tests even though she admitted to me 2 years later, in 2008, that she didn’t really know what I had anymore. It was 5 years later, in June 2011, that I made an appointment with the National Jewish Health in Denver, the number 1 respiratory hospital in the country. My lung doctor there, Dr. Good, lived up to his name. He diagnosed me within 10 min. of seeing me but it had to be confirmed by genetic testing which we did. 2 months later Dr. Good confirmed that I was positive for BHD. I need to add that Dr. Good had only seen 1 other patient with BHD in his long expert career, and yet knew right away what I had. That’s how good he is. In addition to the medical history, the skin papules is what put Dr. Good on the right track immediately . I don’t have a lot of them but enough that he noticed them. He asked me a few questions about my family medical history and he put the whole picture together very fast. My previous lung doctor wrote in my file “no history of BHD”, “has pristine skin”, neither of those statements are correct. My skin is not pristine, and she had never asked me any pertinent questions on my family medical history. Relief at first to finally have the correct diagnosis. Knowledge is power. I can now get my yearly MRIs to keep my kidneys and other organs in check. But I have to say that the diagnosis also scared me especially for my children. I know I probably passed the gene onto some of them like it was passed on to me. That’s the bad part. As for me, I am nervous every time I take the airplane. I have had cysts pop in flight, but so far it’s been the cysts in the lung that had the pleurodesis. I am afraid that one of these days, the other lung will pop too. I am always on the alert. It’s not a good way to live. I have explained it to my siblings, cousins , nephews and nieces but no one wants to get tested so far. “You can bring a horse to water but you can’t make it drink” as we say. I have a nephew who had a spontaneous pneumothorax in his early 30’s. Therefore I believe that at least my sister and her son have it. As for my children, I explained it, but for life and medical insurance issues, they have not been tested yet. My siblings and the rest of my family are in denial and/or don’t want think about it. So life goes on as it always has for them. As for my children, my daughter stopped going scuba diving which she enjoyed. She says when she goes down, her lungs hurt. Dr. Good in Denver printed some information for me after my diagnosis. After that I went to www.BHDSyndrome.org. 1 – Don’t be afraid to change doctor and/or get a second and even a third opinion. 2 – Get yearly MRIs of your organs, especially lungs, kidneys and liver. Don’t wait 10 years between your colonoscopies. There is some guilt for passing on the mutated gene to some of my children. Telling them was hard because of the impact the diagnosis can have in their life. But it has not stopped them from starting a family. We did not get genetic counselling. 9. Do you have any tips and advice for caregivers? It is my strong belief that BHD is highly under-diagnosed. I wish lung doctors would not dismiss the possibility of BHD as much and as fast as they do. They could save many lives. I wish lung doctors and dermatologists would get more education on BHD. I have bad lungs. Not only do I have a lot of big and small cysts in them but the surgeon had to take some of my right lung out during the pneumothorax surgery. With that much reduction in lung capacity, in winter I have a hard time breathing. I also live in high altitude which does not help. Our valley has terrible air pollution and the political authorities show little interest in correcting it. I have papules on my face which will only multiply with time. There is some self-consciousness. I have a cyst in my liver and one on the parotid gland. I have had polyps in the colon. So far my kidneys have been clear. My uncle died of renal cancer so that thought is always in the back of my mind. There is no treatment, only yearly MRIs since 2011 for monitoring my organs. I am hoping to find a good dermatologist knowledgeable about BHD and papules in my area and I hope that treatment will be covered by my medical insurance. Not easily. My local lung doctor doesn’t know much about BHD. My local GP had never heard of BHD so I printed some information about it. He might have read it. I have no dermatologist. Because of the rarity of BHD, no one has ever heard of BHD even with the healthcare professionals. I had an incident early this year that brought me to the emergency room. I explained to the 4 doctors & interns present that night that I was given the Shingles vaccine 4 days prior, but they were more interested in the BHD, asking me a lot of questions about it and looking it up online. In the end, after 6 hours at the ER, they completely misdiagnosed me, telling me I had fibromyalgia. 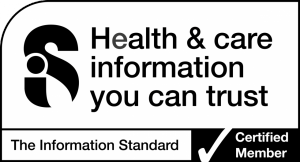 I knew it was wrong so I went to my GP who told me that I had a bad reaction to the shingles vaccine, he explained to me exactly what had happened, something he said, the ER doctors should have known right away. Healthcare professionals seem very excited to find out about BHD which is a good thing as long as that interest doesn’t keep them from seeing other ailments. 14. Has BHD had any health insuac implications for you? The cost of MRIs every year and colonoscopies every 2 or 3 years is high. I am lucky to have medical insurance through my husband. We have copays. I am not working anymore. We worry often that if something happens to my husband, I will be left without insurance and won’t be able to get the MRIs and colonoscopies that could save my life. So it is a constant worry. Constant worry about my kidneys, about the cyst on my parotid (close to the brain), about medical costs, about BHD in my children. I am hoping for a cure soon. No panic. As I stated earlier, knowledge is power. We are actually the lucky ones. Not lucky to have BHD but lucky to know what it is and able to get MRIs to monitor our organs and our health.